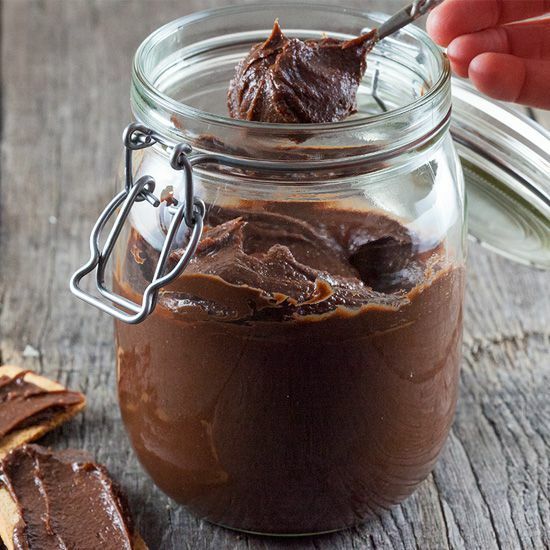 Homemade Nutella for all you Nutella lovers out there! 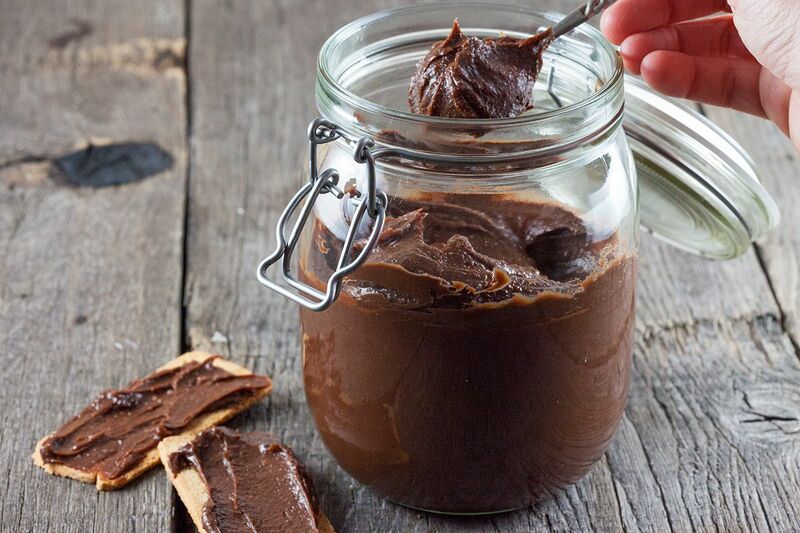 This easy spread made with chocolate and roasted hazelnuts is worth every bite. SPREAD the hazelnuts over the oven tray lined with parchment paper and ROAST the hazelnuts in the oven for 10 minutes. You’ll notice the skins will get loose a bit. That’s exactly what you want, cause when they’re done you can rub them in a clean kitchen towel to remove the skins. ADD the hazelnuts to your food processor, make sure the bowl isn’t too big otherwise the blades won’t touch the nuts enough to create an oily hazelnut paste. It will take about 5 minutes or even more until the nuts will become a smooth paste, depending on your food processor. ADD sunflower or other kind of neutral oil to the nuts. 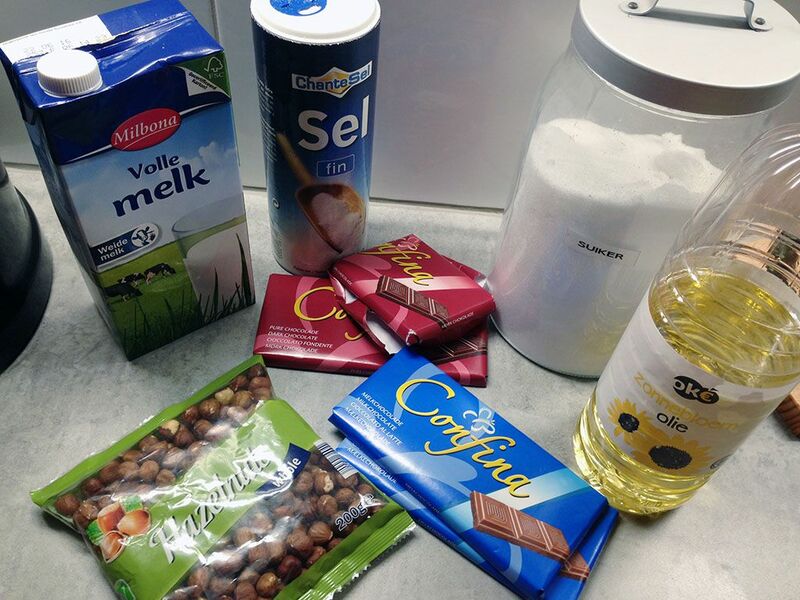 Roughly CHOP the dark and milk chocolate and melt on low heat in the small saucepan along with the whole milk, pinch of salt and 2 tablespoons of sugar. Whisk until smooth and let it cool off slightly. 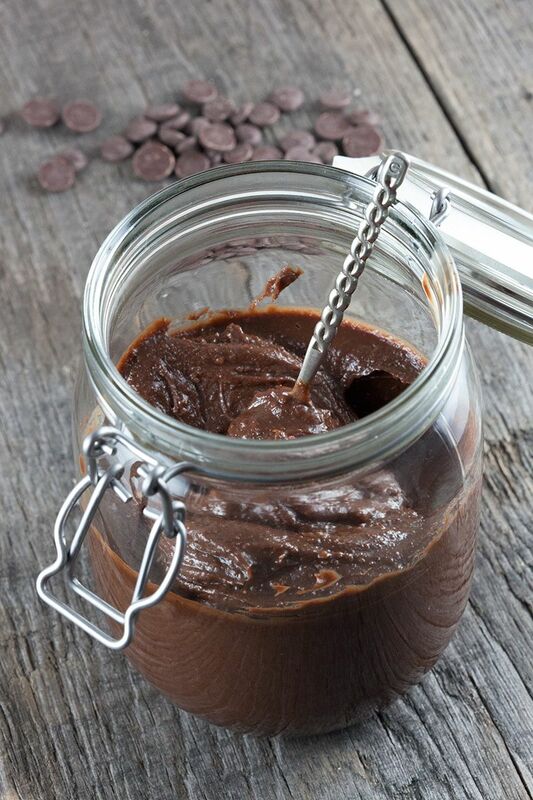 COMBINE hazelnut paste and chocolate mixture until smooth. POUR in a preserving jar and let it cool off completely. Now it’s ready to spread on anything, enjoy!